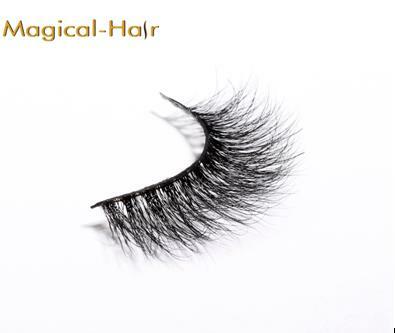 · MATERIAL: Made of 100% mink fur, full strip 3d mink false eyelashes, doll-like looking. · ADVANTAGE: vivid, not too thick or too long, light weight, soft and flexible handcrafted cotton band, Cruelty-Free,free from chemical treatment, hypo-allergenic. · USAGE: Can be used 15 times or more with proper care, suitable for daily daytime use, party or professional application like wedding event, photo shoot, night out. · PACKAGE: 1 pair of fake eyelashes in Blingbling box, without adhesive or glue. · RETURN POLICYS: Unconditionally returns &replace accepted within 30days.